If you're on the hunt for a new smartwatch, Amazon is currently running a bunch of deals that includes Fossil's latest smartwatches. We've sifted through its Daily Deals and found that you can pick up the Venture HR and Explorist HR smartwatches. 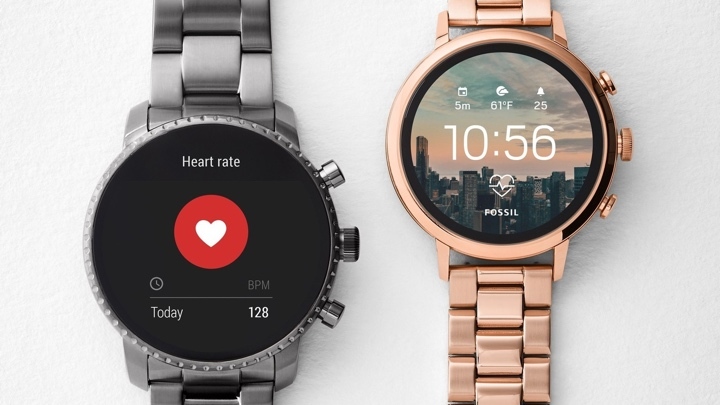 Both are part of Fossil's Gen 4 watches that now add built-in GPS, heart rate monitoring, a swim-proof design and Google Pay into the mix. The Q Venture HR is down to $199, which is a hefty saving of $76. The Explorist HR, meanwhile, is also down to $199, and that deal is available in a range of colors and finishes. Both watches managed solid scores in our reviews, and while new sports tracking features didn't blow us away, it delivered well on the core smartwatch features - and, after all, they're still some of the best looking smartwatches out there. If you're not a massive fan of that Fossil watch look, Amazon also has deals on sub-brands, like Michael Kors and Kate Spade. These are, however, older generation smartwatches, so lack features like Google Pay and those additional sports tracking features we mentioned above. If you're not too bothered about being able to track runs or make payments from the wrist, you can pick up the Michael Kors Access Grayson for $209.55, which is a saving of $140. The Kate Spade New York Scallop smartwatch was one of our Wear faves and is down to $185, which is over $100 off the usual $295 price. As is the case with Amazon's deals, it's tough to know how long they'll be knocking around for. But these are definitely very good deals on some of the most attractive smartwatches running on Google's Wear OS, whether you're looking at the newer or slightly older models. Got any questions about the smartwatches mentioned? Let us know in the comments section below.